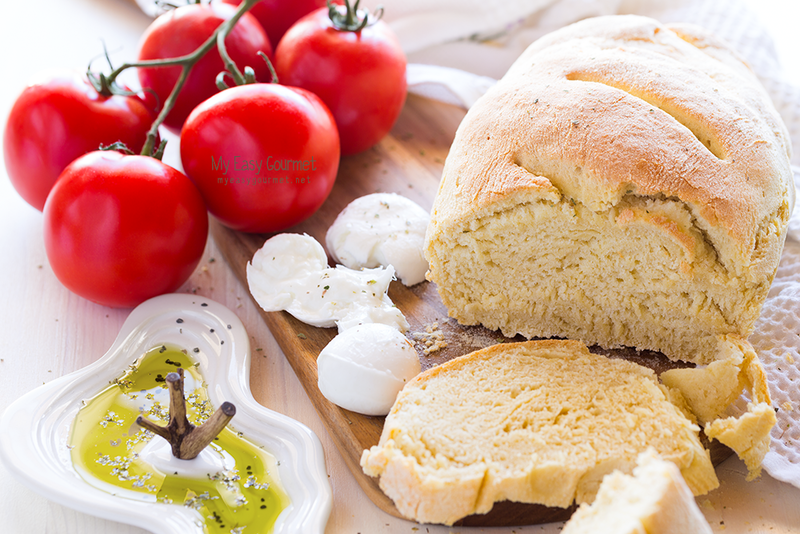 Easy recipe for homemade bread: No better way to the day than a good breakfast. How about butter and jam on two slices of your own homemade bread? 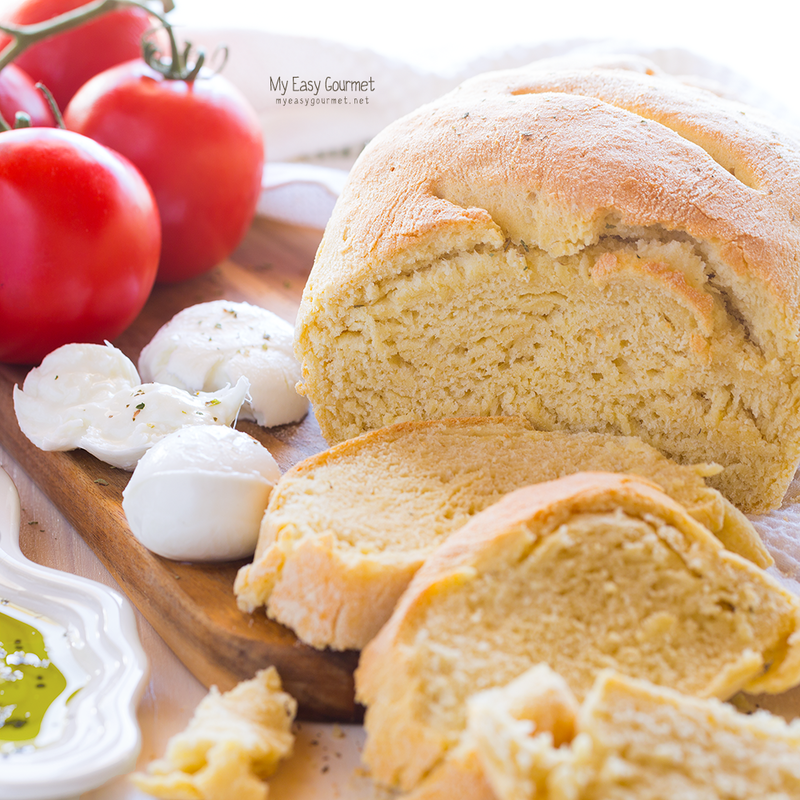 Promise, this is a very very easy recipe, it only takes some time, but patience is rewarded! You can try different kinds of flour, we used bread flour, but you can also mix plain with whole wheat. This recipe makes one quite big loaf, double quantities for two. In the stand mixer’s bowl combine the flour, yeast, water, salt and sugar. Mix on low speed for about 10 minutes. Stop the mixer and knead with your hands occasionally. Knead the dough with your hands for 5 minutes adding some more flour if it’s sticky. 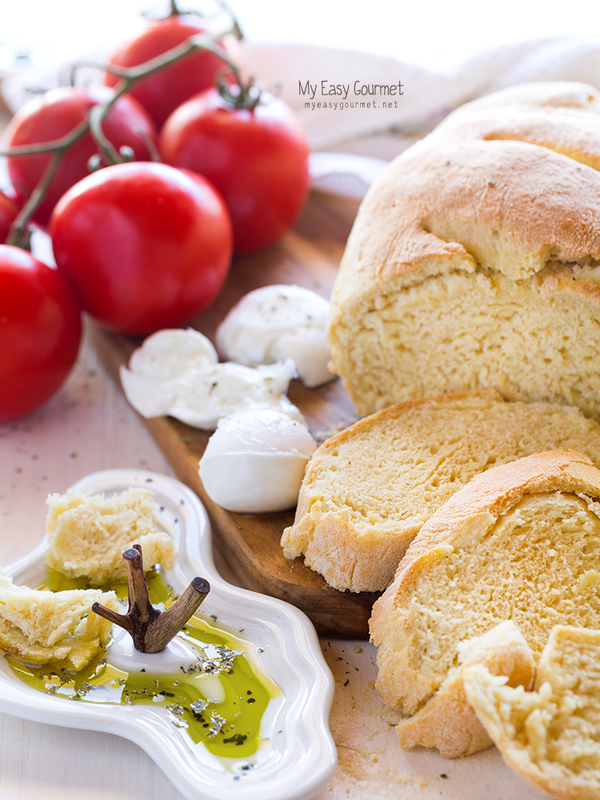 Brush the olive oil in a large – preferably – wooden bowl, place the dough in it and cover with a towel. Let the dough rise for about 1,5 – 2 hours. Remove the dough from the bowl and knead adding more flour. Form the loaf and place it in your bread baking form. Cover with a lightly wet towel and let it rise again for 40 minutes. Preheat the oven on 200ºC for 15 minutes, 30 minutes after you placed the loaf in the form. Bake for about 35 minutes, when the top is golden. Let the loaf rest for a few minutes before cutting it into slices. 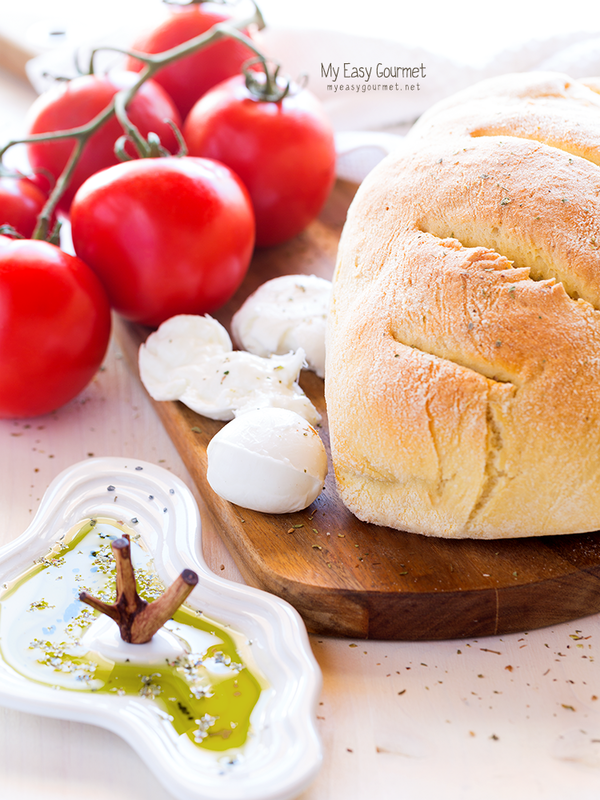 This bread looks delicious, and it’s great that it’s so easy to make!